We believe that by involving Bishop Beaudry Construction in the development of your project, you will experience an effort and result that will more than meet your expectations. Contact us to experience our responsive, honest and professional commitment to your success. Bishop Beaudry Construction was founded and registered in 2006 as a Limited Liability Corporation by John W. Bishop, Jr. and Peter J. Beaudry. John and Peter had spent many years in the construction industry working for a number of large and mid-sized organizations. They worked on and supervised a wide range of projects including sports venues, high rise residential and office buildings, parking garages, historic preservations and warehousing. Although they enjoyed the challenges presented to them in their careers, they had the desire to establish their own firm where they could introduce processes and skills they had acquired over a combined 50 years of work in the field. Through direct engagement with their customer base and meaningful discussion with Owners, they have produced a record of customer satisfaction that is without equal. BBC has found its niche in the construction industry in and around the Capital District of New York State. The firm has completed numerous projects, both public and private, and has established itself as an organization which will respond to customer requirements, complete projects on time and within budget, and always keep the Owners best interests in mind. You are invited to review the pages of our site to learn about our firm and our capabilities. We strongly believe that after viewing our background, completed projects and capabilities you will understand why you should contact Bishop Beaudry Construction to discuss your construction project. Mr. Bishop has more than thirty-five years of experience in public and private commercial construction. His career started as a laborer, representing the third generation in the family business. Since receiving his B.S. degree in Industrial Construction Management, John has performed most construction management functions including project superintendent, project manager, executive project manager, vice president – director of operations and his present position of firm principal. He has built projects valued from $10 thousand to over $50 million under general construction, construction management and design / build contracts for governmental and private entities. Mr. Bishop’s breadth of experience in and knowledge of, the construction industry has resulted in his engagement as a consultant working on behalf of owners, insurance companies and attorneys. He has been intimately involved in grant application support, construction problem and defect investigations, project budgeting, project management and construction oversight. His clear understanding and knowledge of NYS Labor Law 240/241 has allowed him to act as a professional witness on numerous occasions. Construction Management – Experienced with owner and design professional communication and relations, estimating, Critical Path Method scheduling, purchasing and contract negotiations, contracts, project administration, cost management, insurances, risk management, project management, subcontractor and vendor relations, safety and field performance. John has extensive experience working with local municipalities during planning, approval and construction phases. Estimating – Substantial working experience related to conceptual project estimates through detailed construction cost estimating on negotiated, design / build and competitively bid projects for public and private project owners. Delivery Methods – Experienced in delivering projects utilizing Construction Management Agency, Construction Management At-Risk (GMP), Design-Build, and General Construction (Negotiated and Competitive Bid) delivery formats. Project Experience – Successful completion of industrial, educational, office, retail, senior housing, high-rise, historical renovation, bridges, highway work and sports arena construction projects. John is intimately involved in each project undertaken by Bishop Beaudry Construction which ensures the successful completion of each project under contract. 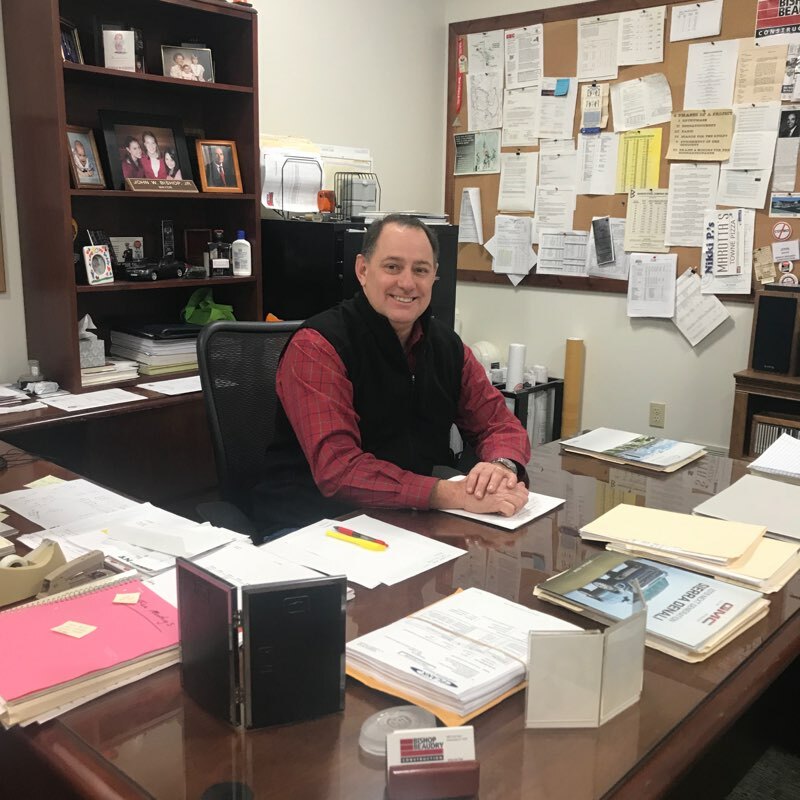 Mr. Beaudry has more than twenty-five years of experience in the construction industry with the majority of his experience involving commercial construction. He began his career as a laborer and progressed to his current position after holding positions of foreman and project superintendent. Throughout his career he has managed a variety of projects including senior housing, high-rise buildings, parking structures as well as commercial and environmental projects. The value of projects for which he had responsibilities ranged from $50 thousand to $20 million. Peter’s total involvement in each of the projects for which he has been responsible, has given him the knowledge necessary to complete projects within time and budgetary requirements. His experience covers all phases of construction management including Pre-construction, Construction and Post-construction activities. It is through his “hands-on” approach that Mr. Beaudry has honed his management skills. These skills are essential in making sure that all work performed by employees and subcontractors is performed in a safe, code and project compliant manner…. a result that is always achieved. Mr. Beaudry has developed significant expertise in self- performed work including concrete, masonry, carpentry, drywall, equipment installation and process piping work. 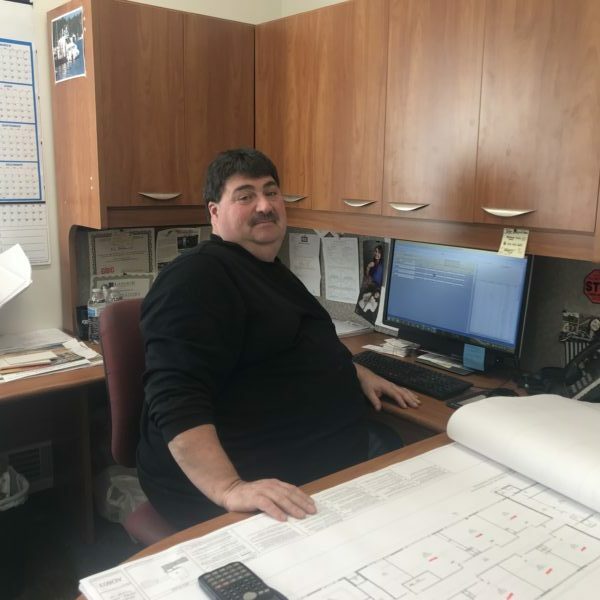 Peter’s involvement ensures that all project sites are OSHA and code compliant, as well as safe for the general public and building occupants. His direct interaction with subcontractors ensures that their work is performed in a safe and efficient manner and abiding by the required safety protocols. PJ develops a strong working relationship with all owners and design professionals on every project. His high level of operational experience permits him to offer solutions to unforeseen conditions which helps move projects forward towards completion. Mr. Beaudry is committed to insuring that each and every project is completed to the owner’s satisfaction. He communicates daily with the designer and owner’s representative on each project to insure that this objective is met. Continue reading this letter of recommendation. Bishop Beaudry Construction prides itself on always getting the job done on time, on budget and with the safety of our employees, subcontractors and customers at the forefront of our efforts. Safety has been ingrained in all that we do and as a result it has become a key element in the building of the core values of our company and our relationships with all stakeholders, employee’s, owners and sub-contractors. Our Safety program begins with standardized training and is reinforced with weekly job box talks, monthly supervisors meetings, annual formal training and project management involvement in the oversight and planning of daily activities along with project management involvement in the over-site and planning of daily activities. Key employees have received Lead Safe Work Practices Training and the 30 Hour Occupational Safety and Heath course for OSHA. Training and updating of our employees, as well as continuous supervision of the safety of the workplace, is a mission critical issue at Bishop Beaudry Construction. We believe in job safety, we practice job safety and we continually monitor our performance in this critical area of project performance. These are the words which guide our efforts through each project on which we work. They are not conceptual, but rather, a concrete statement of how we measure our success and the success of the overall project for which we have responsibility. They drive our decisions to make certain that costs are controlled, time is used efficiently, professional conduct is unrivaled and both owner satisfaction and quality are maximized. We understand that without satisfied customers we have not done our job. We place a premium on the level of satisfaction that we provide to our customers and understand that it is through a base of satisfied owners we will continue to grow our business. When we commit to a project we are committed to the customer, their trust in us and the successful completion of the job. Nothing less will be accepted by the team at Bishop Beaudry Construction. We want every owner, designer, supplier and contractor we work with to give us a positive reference when a project is completed. We have built our business on relationships and we understand that our continued success is inextricably linked to the satisfaction of all stakeholders that we deal with.